Wellfield was created in about 1905, following the acquisition of the land by a firm of London estate agents called Payne Trapps & Co. They called the road "Haverstock Drive" No-one is really sure where the name came from, it may be named after Haverstock Hill in North London, as other place names used by this firm in their developments are from a similar area. Haverstock is preserved today in the additional house name for 7 Wellfield. Very few houses were built after the plots were sold and most of the land became derilict. In both wars the land was requisitioned to be ploughed up for food production. 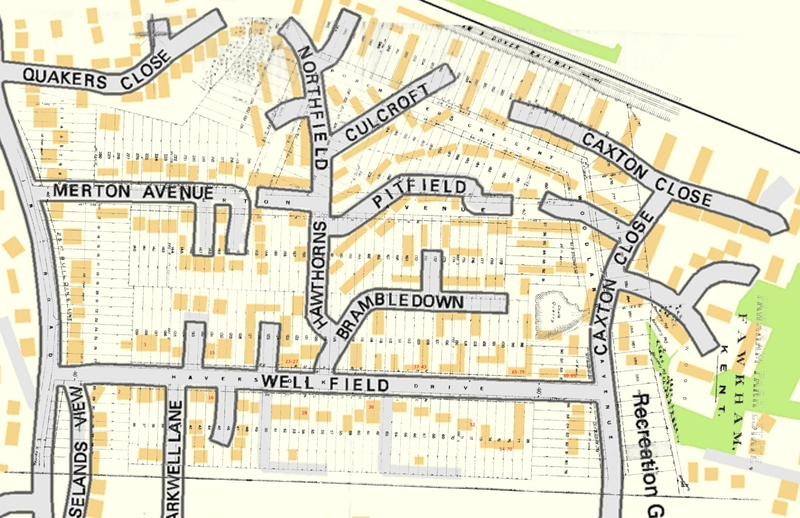 Havestock Drive was renamed as "Wellfield" by Dartford Rural District Council in 1949. 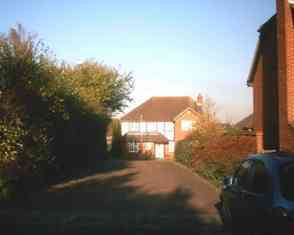 Wellfield being the name of one of the fields belonging to Woodins farm in Church Road, part of which touches the back gardens of some of the even numbered properties. In 1918 there were just 2 houses in Wellfield, these were "Bertha Villa" (about where 7 Wellfield is today) and Colyton (14 Wellfield). Since the war the road has developed piecemeal with a mixture of council and private development. Wellfield road marks the southern boundary of the Wellfield Estate. Dartford Rural District Council had granted themselves planning permission over most of the land in 1954 (Reference 1954/479), they didn't plan to develop initially and didn't even own the land, but it prevented other landowners from getting planning permission for their plots. 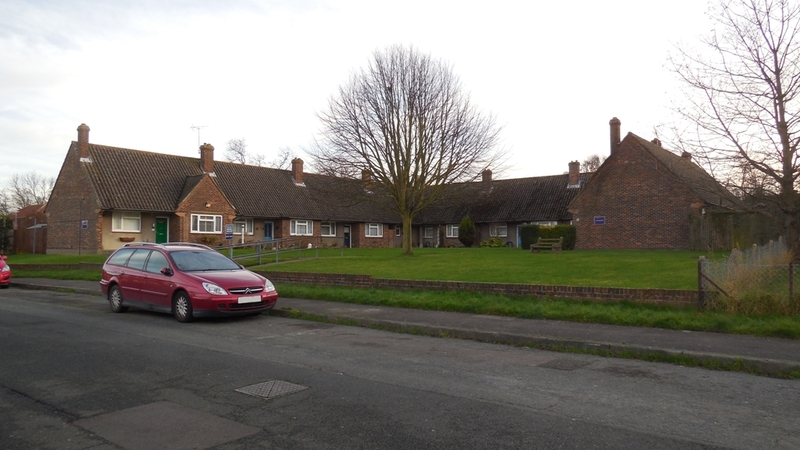 The earliest council housing were numbers 2-12 which were built as part of the Hoselands View development in 1950-1. More council housing was added on the south side of Wellfield in 1964. This included the bungalows for older people (54-70), more flats for older people were added opposite in 1970 (45-59 and 65-95), making a total of 33 one bedroomed properties for the over 55s. Number 63 Wellfield is a community hall. 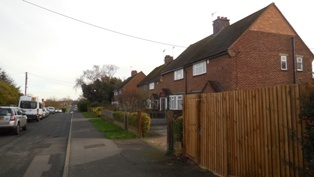 Most of the council houses are in private ownership now, although in 2016 there were still 6 owned by West Kent Housing Association to whom Sevenoaks Council have transferred their housing stock. 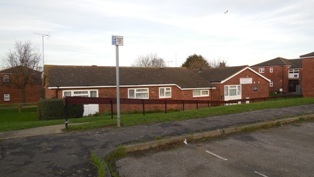 In addition the flats and bungalows for over 55s are all owned by West Kent Housing Association for rent In 2016 one of the flats was available for rent at £92.93 per week with service charges of £14.70 per week. There are three small cul-de-sacs which lead off Wellfield. 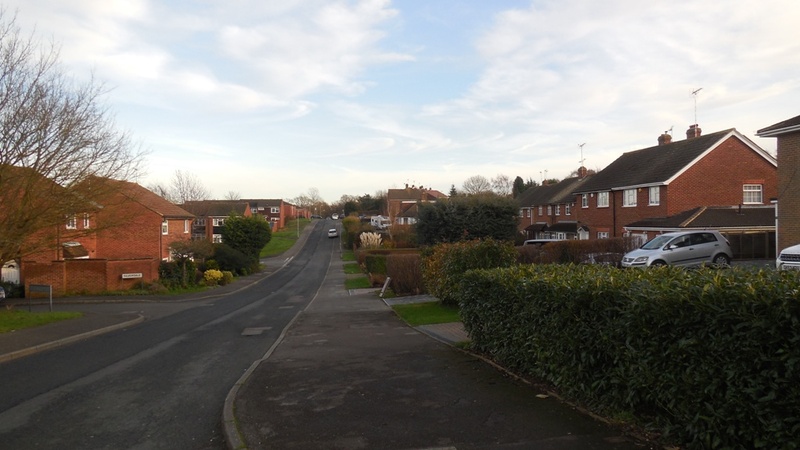 The first to be built in 1978 was the 6 houses of Perran Close, so named after the house of that name (about where 20 Wellfield is today) which was demolished. Also part of Crest Homes' development was 18 and 20 Wellfield. Next to follow in 1984 was Silverdale, the name Payne and Trapps gave to Larksfield. 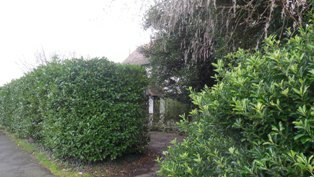 These and other houses in Hawthorns and Wellfield were built as starter homes for those who applied to Sevenoaks Council. Buyers either paid the full price, or some were entitled to a discount of about 10%. The houses were built for the council by Rendell Partnership Developments Limited. 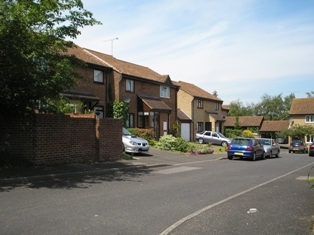 Finally came the three houses of Everglade Close, built on the site of 7-11 Wellfield in 1988. This time the developers were P A Barden & Sons Limited. I do not know the origin of the name. As a result of its more recent history, Wellfield cuts across a number of farms and ancient fields, including Middle Farm, Woodins and Blue House Farm (see individual houses below). 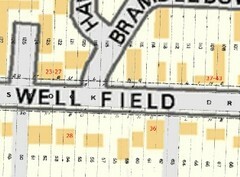 By the 20th century many of the fields in the Wellfield area had been consolidated into one. In 1905 the estate agents Payne Trapps and Co bought 122 acres to the north of Church Road. 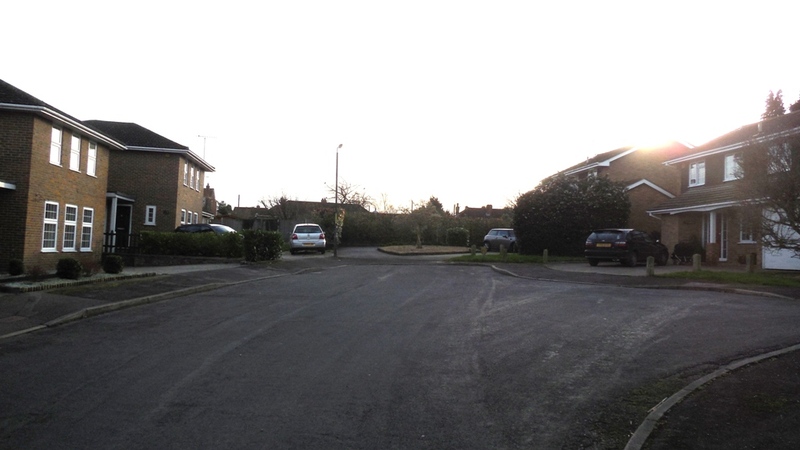 They created Wellfield (which they called Haverstock Drive) and sold 25 feet wide plots. (1) Planning Permission: 2015/1251 Conversion of the existing garage into an addition to the dining room, provision of window to replace garage door and installation of 2 no. rooflights in existing roof. (1) Planning Permission: 1961/104 Doctor's surgery, waiting room and car park. (1) Planning Permission: 2003/651 Single storey side, front and rear extension. (1) Planning Permission: 2009/2093 Two storey flank extension: rear Conservatory: Detached single storey Garage/Games room/workshop. (1) Planning Permission: 2015/1524 The erection of a 2 storey side and rear extension with a part single storey side and rear extension. (1) Planning Permission: 2015/1709 Construction of a dropped kerb.